In 1485, Sir Thomas Malory published his most famous work, Le Morte D’Arthur. The story was about King Arthur, the legendary king of Britain, and his sword, Excalibur. 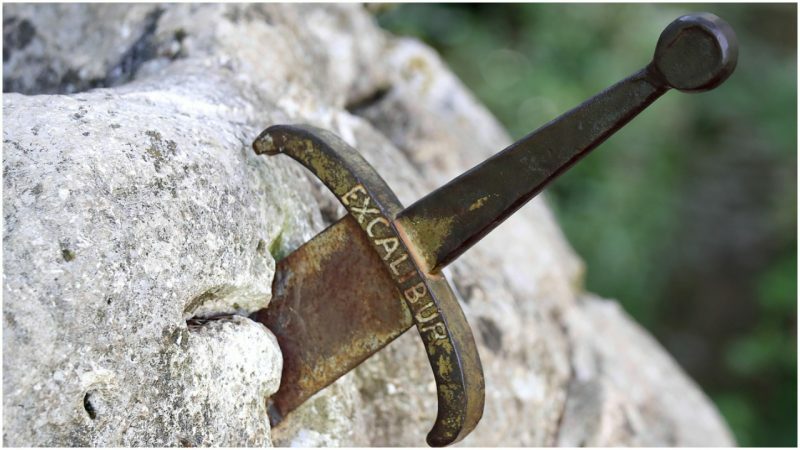 Excalibur had been previously featured in Geoffrey of Monmouth’s 1136 book History of the Kings of Britain, but at that time it was called Caliburnus. 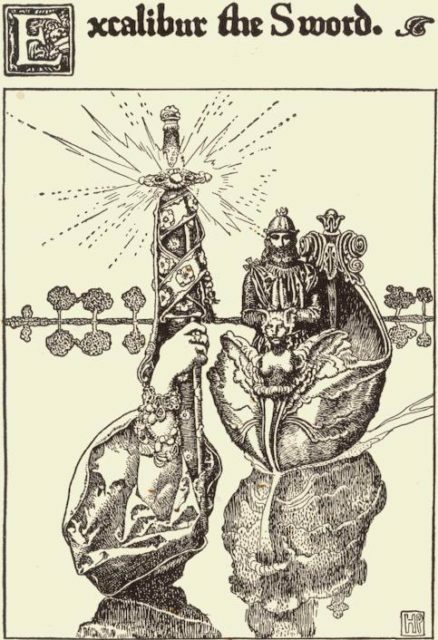 While most Arthurian legends associate Excalibur with Arthur, there are a few ancient poems, such as Conte du Graal, written by poet Chretien de Troyes around 1160, that tell other stories. This work describes Excalibur as belonging to Sir Gawain, who was the son of Arthur’s sister, Morgause, also sometimes referred to as Anna. Supposedly, Arthur loaned the sword to Sir Gawain, his most trusted and loyal knight, but it was returned to King Arthur for his battle with Mordred. 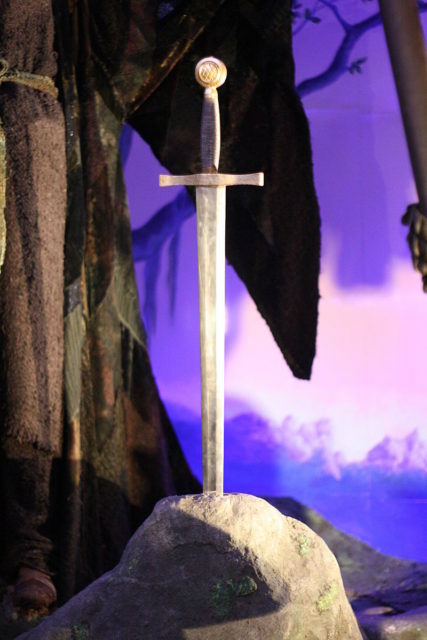 According to Malory, Excalibur was given to Arthur by the Lady of the Lake near Bodmin Moor at the request of Merlin, Arthur’s magical adviser. Most legends agree that Arthur battled his nephew Mordred, the brother of Sir Gawain and the quintessential bad guy of Arthurian legends, at the Battle of Camlann. 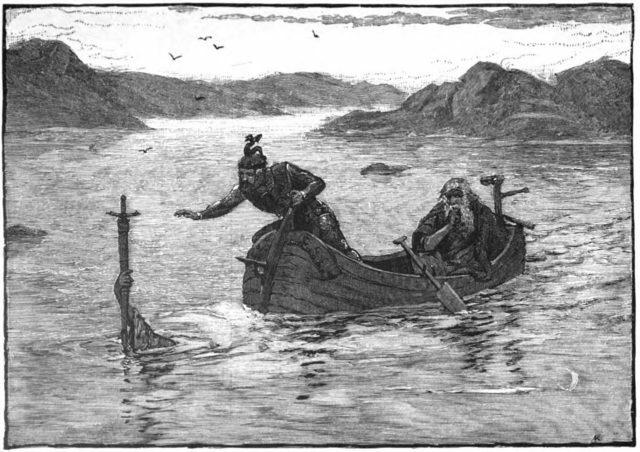 Mordred was killed after mortally wounding Arthur, who advised his knights that Excalibur must be returned to the Lady of the Lake. Excalibur was thrown back into the lake by Sir Bedevere, another trusted knight of the Round Table, and was never seen again. 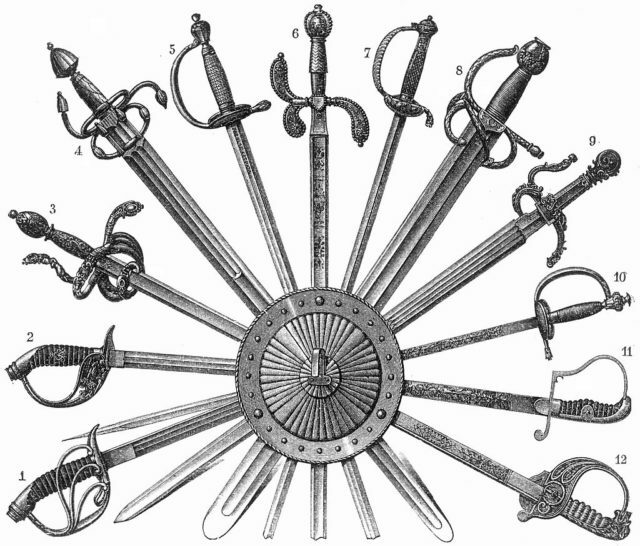 Swords are common in literature and history as a symbol of power, honor, and strength. In medieval Europe and Japan, swords were used to indicate social status and appeared on coats of arms. Dress swords could have hilts and scabbards decorated with fine gemstones, pearl inlays, and gold trimmings to advertise one’s wealth and status. Peasants were forbidden to own swords, especially in Japan, where the sword was a symbol of Samurai, the elite warriors of the Emperor. Samurai had their own code of the sword, seeing it as an extension of themselves. Swords have made and broken kingdoms for thousands of years. Epee – Fig. 1,2,12. New Prussian Epees. – 3 u. 4 Epee Philipps II. of Spain. – 5. Epee Frederick the Great. – 6. German epee of Duke Friedrich Heinrich of Nassau. – 7. Epee Napoleons I. – 8. Blade of the Colada of the Cid 16th century. – 9. Toledoepee. – 10 u. 11 Old Prussian Epees. Middle Schield. 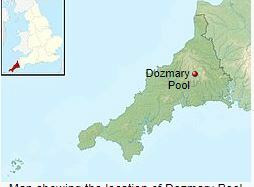 In northeast Cornwall, an area of granite outcropping on Bodmin Moor is home to Dozmary Pool. Legend suggests this is the lake that was home to the Lady of the Lake, the caretaker of Excalibur. In the legend, the lake was reported as bottomless, but it now the water is a few feet deep. Sometimes, when the water level is low, it goes dry. On August 29, 2017, the Jones family from Doncaster in South Yorkshire decided to beat the sweltering heat by visiting the lake. As seven-year-old Matilda was playing in the lake, she told her father saw a sword lying on the bottom of the lake. Having recently told the story of King Arthur to his children, Paul Jones thought his daughter was caught up in the fantasy and mistook a section of discarded fencing for a sword. As he approached the area where his daughter was standing, Jones was surprised to find a four-foot-long sword lying in the mud. After retrieving and cleaning the sword, Jones surmised that it was about 30 years old and a prop or toy that had been lost when the lake was dried out. The sword doesn’t have the thickness an actual blade would have had, and the hilt is rather plain. In addition, an actual four-foot battle sword from medieval times would be too heavy for the little girl to hold up. There is no word from the family as to whether the sword will be presented for inspection or valuation from the Queen’s and Lord Treasurer’s Remembrancer, Great Britain’s entity which makes the decisions on the found treasure. Until then, little Matilda Jones can go on dreaming that she has found Excalibur and will someday be anointed as the true ruler of Britain, but not until she finishes her homework, of course.